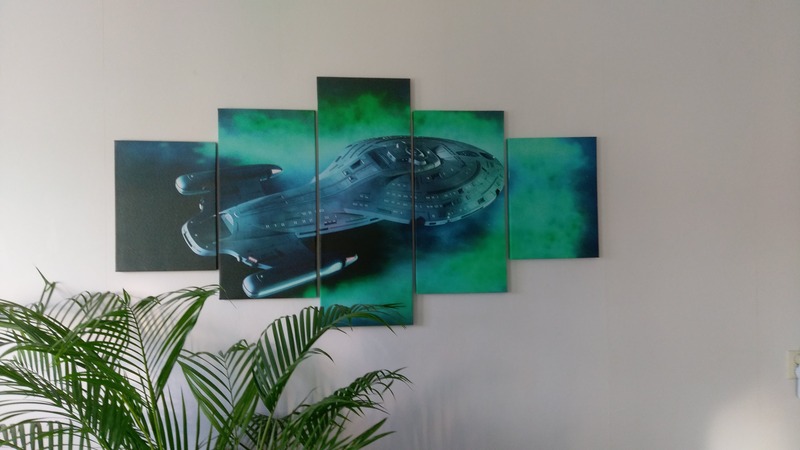 The canvas of 'USS Voyager 5 Piece Canvas Set' is as awesome as I expected to be on my wall. And the team of Paragon Apparel has done great with the service of helping me got it here. Because there we're some problems with the post/customs in my country. But luckily they we're solved, and now I can enjoy it.